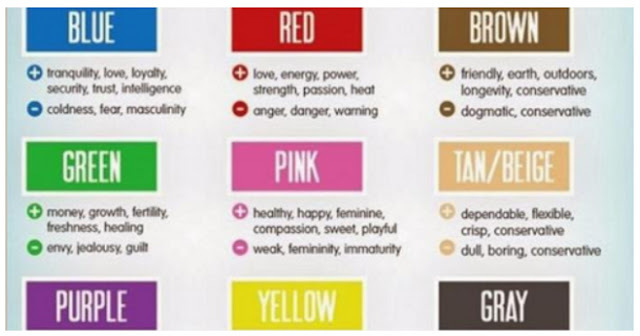 Can I ask you a simple question – did you know that your favorite color can tell a lot about a person’s personality? Just take a look at the article below and find out more about this! Does the name Faber Birren rings any bell? Well, Faber is a pioneer in the field of color study and the author of 24 books about color. He claims that your favorite color says a lot about your character. And he also says that it’s possible to make a right judgment about someone`s personality traits in correlation with their color preferences. This color test will discover facts about your personality you`ve probably never suspected. It’s very simple – just pick a color and see the results below. Blue – if you love blue color, this means that you love harmony! It also means that you are a sensitive and reliable person who always thinks of others. Yes, and stability is the most important thing in life and you prefer keeping things clean and tidy. Green – well, Faber says that if you like green color, then you are frank, loyal and affectionate. People who love green color value their reputation and are usually very aware of what others think of them. Purple – people who love purple color are unique and artistic souls. Well, they can also be arrogant, but they also have respect for others. Pink – You are loving, soft, kind, sensitive and warm. You are the nurturer; always giving more than you are receiving. You are romantic and sensual and you have idealistic standards. You are sweet and charming and always know how to deal with everyone in a way that comforts them. Red – people who love red color live their lives to the fullest. They can be determined and tenacious in getting what they want. Yellow – if a person loves yellow color, then that person probably enjoys learning new things and sharing them with others. People compare you to a ray of light because happiness comes easy to you. Brown – well, if you like brown color, then it means that you are loyal and good friend, who tries to be dependable and reliable. You prefer a stable life. White – people who love white color are usually logical and well organized people. Mess is the last thing they want in their lives. Gray – this type of color is neutral color, which means that you are neutral about things in life, often even indifferent. Gray lovers try to protect themselves from the chaos in their surrounding environment, to the point of complete isolation from the world. They are calm and practical, don`t like getting attention, they are just looking for some peace and satisfaction in their lives. Black – and finally, if you like black color – then it means that you are sensitive and artistic. You are not an introvert, but you are also a very private person and careful with sharing details of your life.